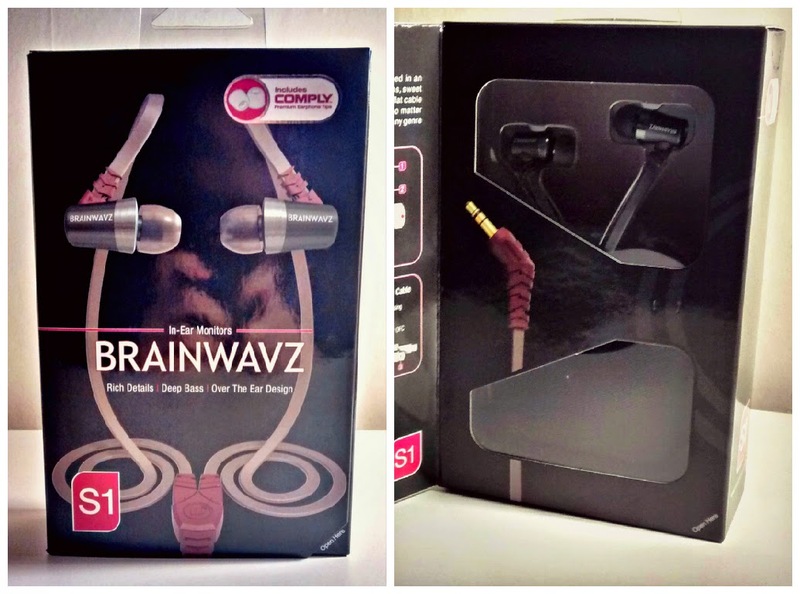 When they were first established in 2008 Brainwavs had a single goal: To bring real earphones to real users at realistic prices. Nowadays they have expanded not only to earphones but headphones, a new accessories line and the addition of inline controls for the booming smartphone market, this is all according to their website. In the future the company aim to expand to offering more products from new designers. This I am quite excited for to see what they can bring to the market! 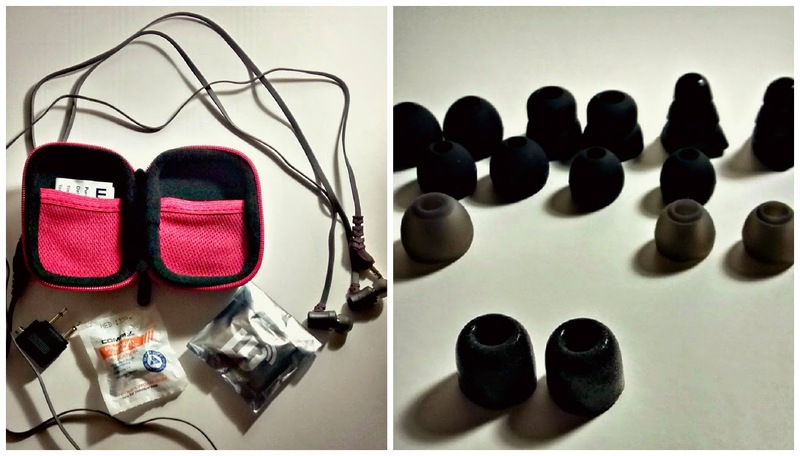 I will be reviewing the over-the-top Brainwavs S1 earphones. As the name suggests they are designed not to hang down from under the ear like conventional earphones but to hang over the top of your ear and down. Now I think this is a major advantage to regular under-ear earphones. Over-the-top earphones offer much more stability near the ear, they are less likely to move around due to the increased amount of contact with the ear that they have. Add this to the fact that the wiring of the earphones boasts a ribbon-like design which allows more contact with the ear than regular wiring and if you are a Physicist then you should know that the more surface area of 2 surfaces contacting each other then the higher the amount of friction between the 2. This is why the S1 earphones barely move around the ear hole, making these perfect for the athletic audiophile. Another good point to point out is the thickness and bulky build of the material around the audio plug. This prevents the wire from fraying around where the earphones are plugged into your phone which can happen alot when this thick material is not present, especially if you use them for running alot as the wiring will be more strained than usual. You may have noticed that I haven't talked about the actual comfort of the ear bud in the ear yet. That is because the Brainwavs come with an astonishing 9 set of ear buds! That's 1 foam, 1 Bi-flange, 1 Tri-flange and 6 Silicone Tips (Small, Medium and Large) so if you're not going to find a set that is comfortable for you then I don't think you ever will. My personal favourite are the Comply foam S-series tips as these will mould and fit to your ear and then return to their original shape again when removed. The set also comes with an Air-plane travel adapter (so you no longer have to buy their ridiculously over-priced ones) and a hard casing, nicely sized carrying case complete with pockets to hold all or some of your tips as you may want to use different tips in different situations. I can't believe I have made it this far through the review without talking about the sound quality of the earphones! These earphones are perfect for music that has lots of bass, it enhances the sound very well. I have been listening to alot of music with these of all genres over the past few days and I have not been disappointed at all. Very sharp sounds and very clear vocals make for a fantastic audio-experience, You can buy this product from Amazon right now for about $54.50 (£37) which I believe to be good value based on what's included with the earphones. You get the 9 sets of tips, a great quality carrying case and an adapter for air-planes so you can use these on your travels. To conclude I must recommend these earphones to my readers, especially if you are a music fanatic. The earphones provide outstanding audio quality no matter what type of music you are into. I couldn't be happier with the product that I received and I may look into purchasing some more of their products. Only time will tell but the earphones seem to be extremely durable due to the design of the wiring and the plug so other products should be just as reliable as the S1 Earphones. The earphones are only £37 with is quite cheap considering the amount of accessories included in the product. Just have a think about it! What do you think about the S1 Earphones? Let me know!